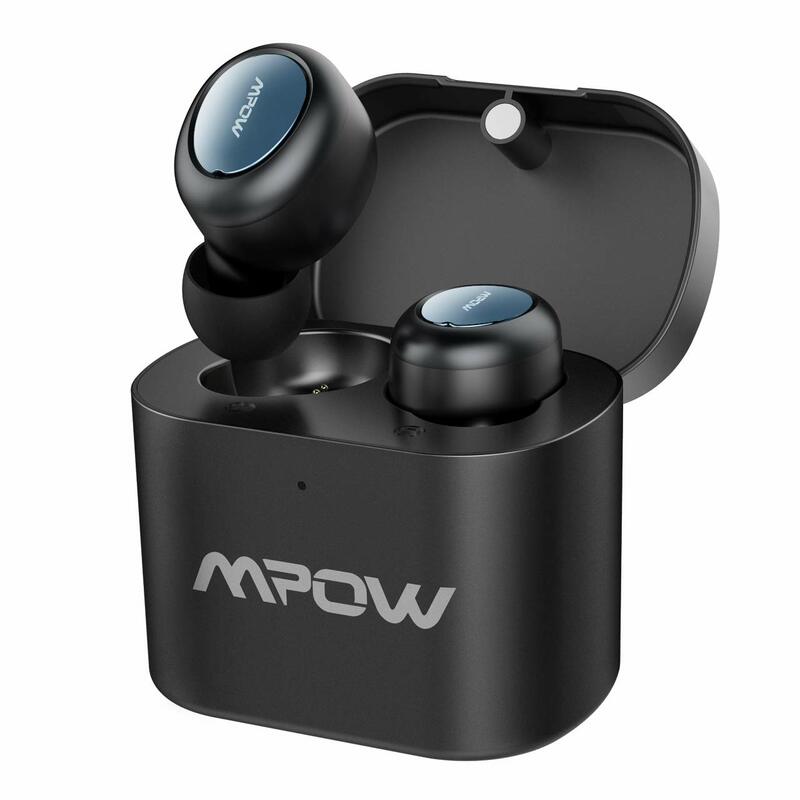 【BLUETOOTH 5.0 & CVC 6.0 NOISE REDUCTION】 Mpow True wireless Earphones with Bluetooth 5.0 technology and CVC 6.0 noise reduction with built-in high resolution microphone, it gives you a more stable connection signal. 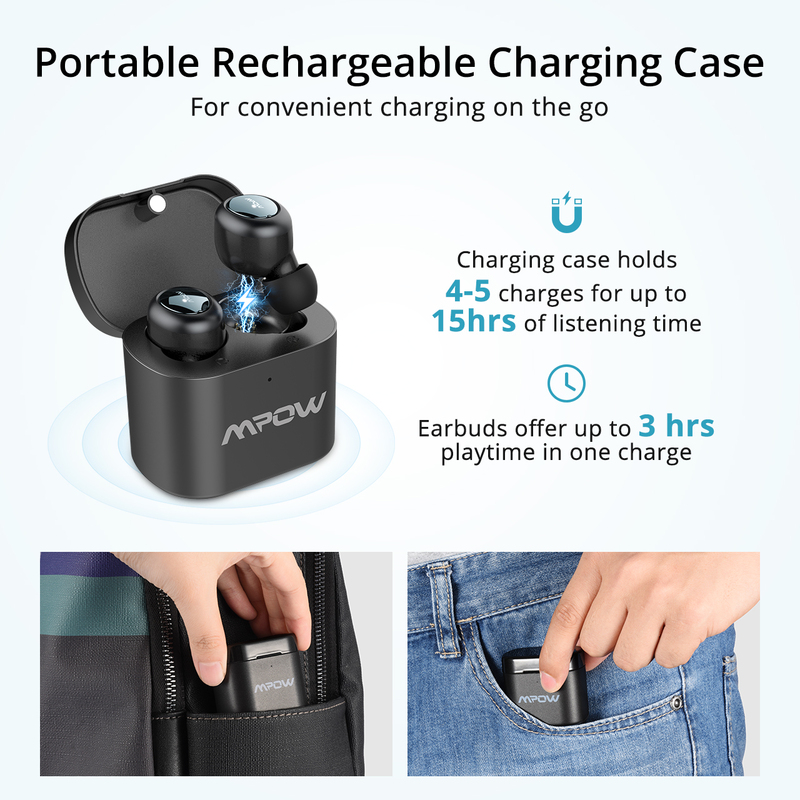 Mpow Bluetooth headset allows you to hear clearly. In addition, you can answer / reject calls, skip / play / pause songs, and activate the voice assistant, such as Siri. Take them out and they are ready to use with all your devices. Put them in your ears and they will match instantly. In addition, you can answer / reject calls, skip / play / pause songs, and activate the voice assistant, such as Siri. 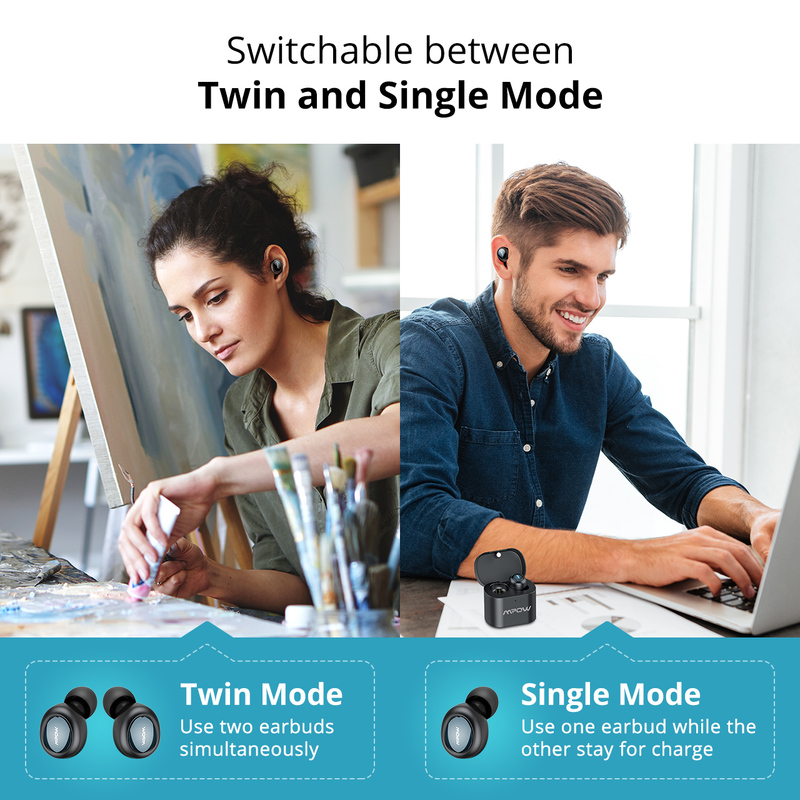 1.Stereo Mode: Soothe the Bluetooth headset on the charging box at the same time, they will enter pairing mode, open Bluetooth from your laptop, and select “Mpow TL”. 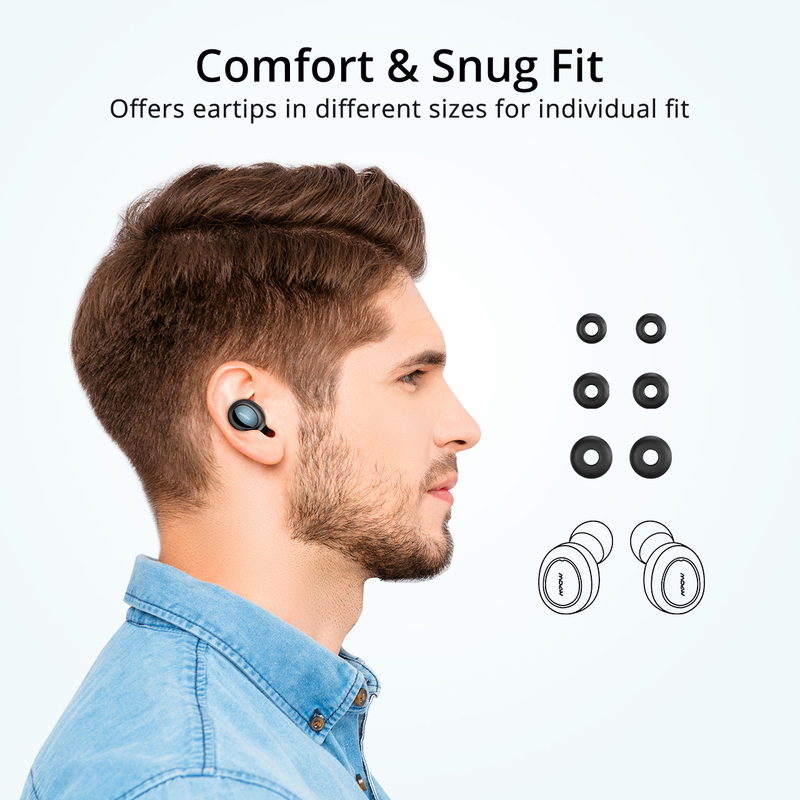 After that, they will automatically pair with your phone. 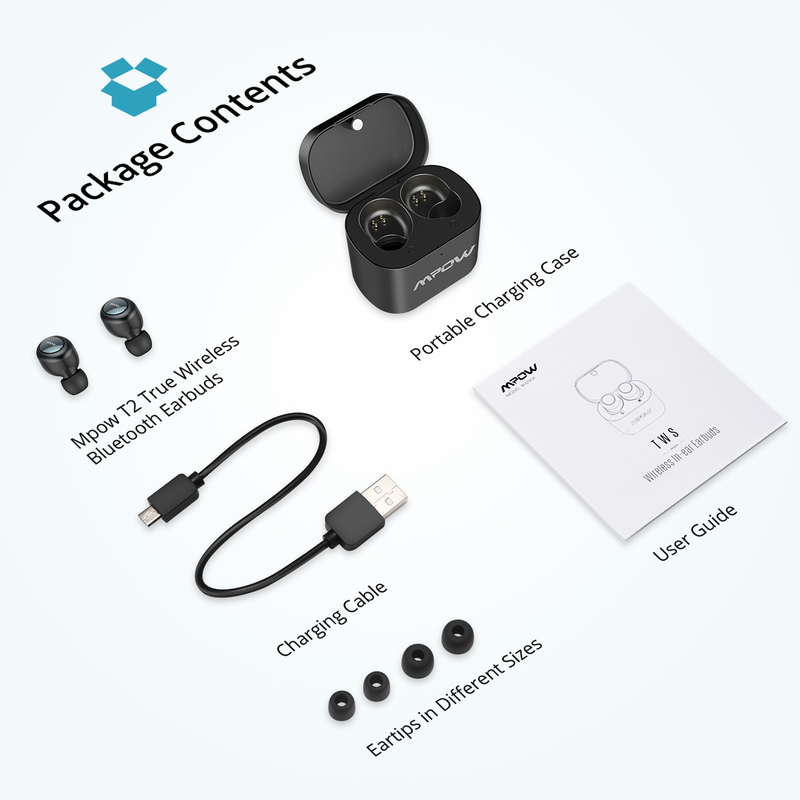 2.Mode Mono: Soak a headset on the charging box, enter pairing mode, open Bluetooth from your laptop, and select “Mpow TL” or “Mpow TR”. Ordered my MPOW TWH, it was such an AMAZINGGG. Truly loved it. The bass, the size, the grip, charging is Perfect. BOHOT HARD ! Very Good .. i love the sound beautiful base .. i talk to my friends very easly .. fantastic ..
bought 1. Go ahead and buy 1. You wont regret it.